Whether seasonal, regional or simply unique, limited-time offers are not only a way to test possible new products, but also a great marketing tool to get consumers excited about a brand and in the door. A beverage LTO can help gauge customer interest, as consumers on average order drinks away from home about four times a week, according to Technomic’s Beverage Consumer Trend Report. Peet’s Coffee has seen value in short-term offers that complement each other. “We often run food and beverage LTOs at the same time and find that sales reflect positively,” says Patrick Main, senior R&D manager for the chain. For a spring seasonal item, Peet’s developers focused on matcha, and worked with California bakeries to create a matcha cake to pair with a honey matcha tea latte. “We try to leverage a holistic approach when developing our LTO platforms,” Main says. Concepts with craft beer among their core offerings typically rotate new brews on the menu for a limited time. Some, however, are more ambitious with their special promotions. 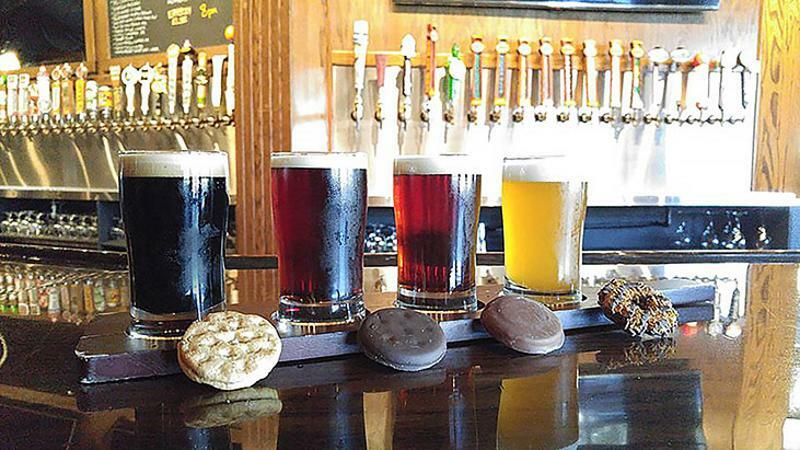 Earlier this year, The Brass Tap—named one of RB’s2017 Future 50 growth chains—temporarily paired eight beers with Girl Scout Cookies. Red Robin has partnered with brewers to offer limited-run beers developed to taste like the specialty burgers on its menu. And Karl Strauss Brewing Company (another Future 50 chain) regularly turns the rollout of new beers into special events. To mark the annual release of its anniversary brew, the chain sells tickets to a party with live music, a special pairing menu and samples of rare and limited-release brews before they’re available to the public.